What better way to update your phone case? All you need are some flat-backed studs, strong glue, and a plain $2 phone case for this DIY project. 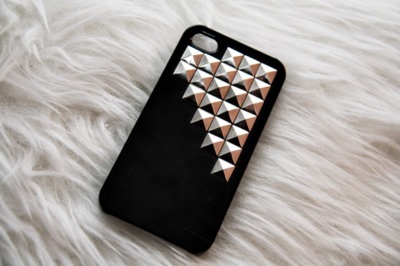 Glue the studs on the case in any pattern you like. If you've seen the flat elastic hair ties floating around the web, you probably also realize they're expensive. 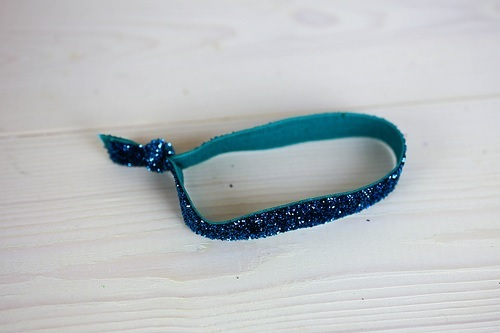 For a few dollars, you can make your own glitter hair ties. And all you need is glitter elastic! To make them, tie the two ends together by making a loop. Click here for the full tutorial – I promise it won't take more than a minute to make. 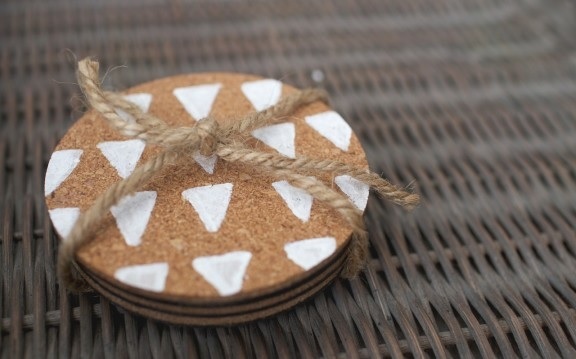 Add a layer of chic to your apartment or dorm room with these painted cork coasters! All you need are cork coasters, acrylic paint, and a paint brush. Paint your favorite pattern on the coasters, then let dry while you get back to studying. 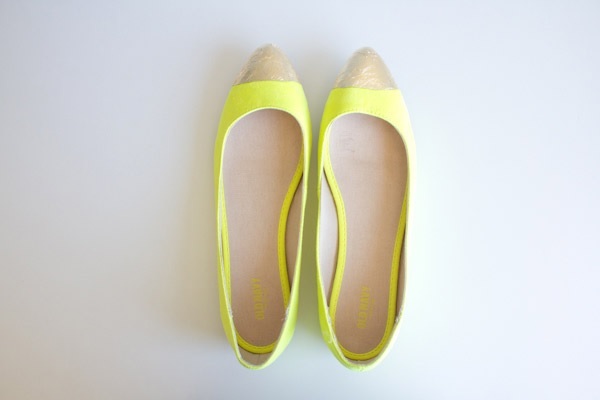 If you've been lusting over cap-toe flats this spring, this is an easy way to update your old flats! Simply place a strip of tape across the shoe about an inch from the tip of the shoe. Then paint the tips of the shoe with gold paint. Remove the tape and you've got yourself a pair of DIY cap-toe flats. Can you tell that we're obsessed with gold details? 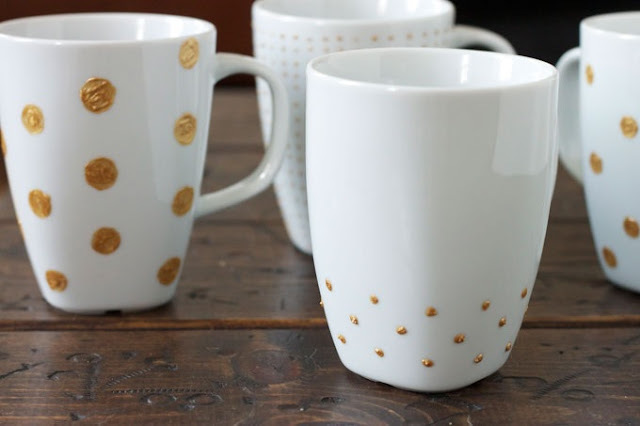 Whether gold polka dots or stripes, you can decorate plain white mugs in a pinch with gold puffy paint. Let your mugs fully dry overnight before washing. What do you think about these easy DIY projects?